The Superyacht Cup 2018 promises unrivalled racing action. All images courtesy of the Superyacht Cup. 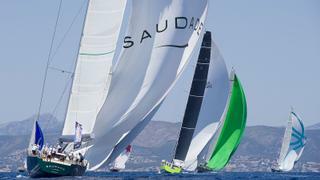 The annual Superyacht Cup in Palma, Mallorca has long been a highlight on the regatta calendar. 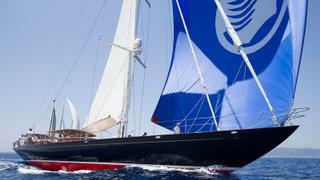 With a J Class showdown between Svea and Velsheda, as well as yachts including 62 metre Athos, 46.2 metre Aquarius and 46 metre Ganesha, taking part this year, the 2018 event promises to be more spectacular than ever. For 2018, Boat International Media has teamed up with the Superyacht Cup to bring members of the Owners’ Club the opportunity to experience this major superyacht racing event in true style. Whether you’re a regatta veteran or a motor yacht owner new to the sailing circuit, the Owners’ Club weekend offers unrivalled access for owners wanting to find out what all the fuss is about. Working with the regatta organisers, members will be welcomed at all the Superyacht Cup’s own events, including the exclusive Superyacht Cup Owners’ Dinner. 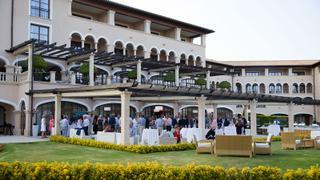 Guests of Boat International Media will also be invited to join an Owners’ Club programme of “extras” – a private Owners’ Club dinner, time on the water, including a day under sail on board a racing superyacht, lunch at one of Mallorca’s Michelin-starred restaurants, plus optional tours of the island and the historic sites of Palma. This programme offers an exclusive chance to see inside the heart of the regatta, plus the best that this increasingly chic island has to offer. Places are strictly limited and interest must be registered by May 20, to book your place please contact lucy.boorman@boatinternationalmedia.com.